The new film Call Me By Your Name is a coming-of-age story, set in Italy, and centered around a budding romance between 17 year-old Elio, played by Timothée Chalamet, and his father’s 24 year-old American student Oliver, played by Armie Hammer. You would be forgiven if you didn’t pick up on that story line from a tweet Sony Pictures sent out that saw them getting immediately skewered for straight washing the very gay movie. 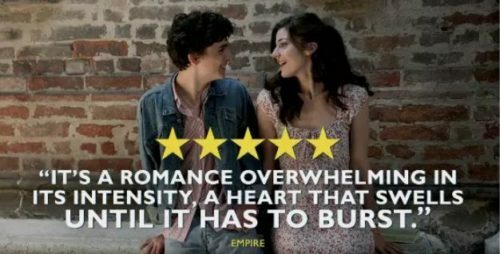 The Sony Pictures UK Twitter account asked if you had seen the movie yet, and then showed Elio with his friend, Marzia (Esther Garrel). While he does have a brief fling with her, she is definitely not his love interest, as the image would have you believe. 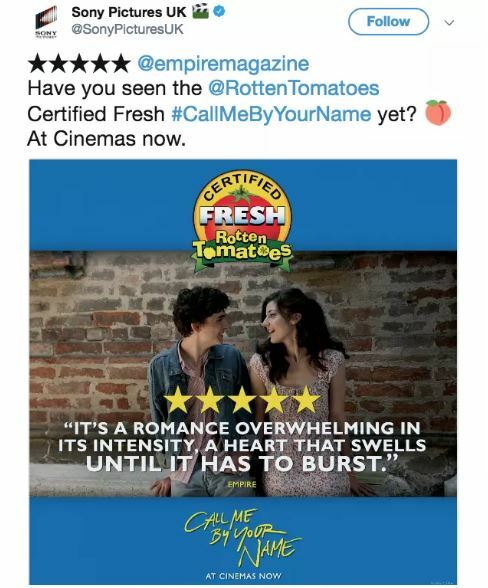 @SonyPicturesUK disgusted to see your attitude towards the film "Call me by your name" I might stop watching other Sony pictures in protest. One Twitter user noticed a similarity in how Brokeback Mountain was promoted.